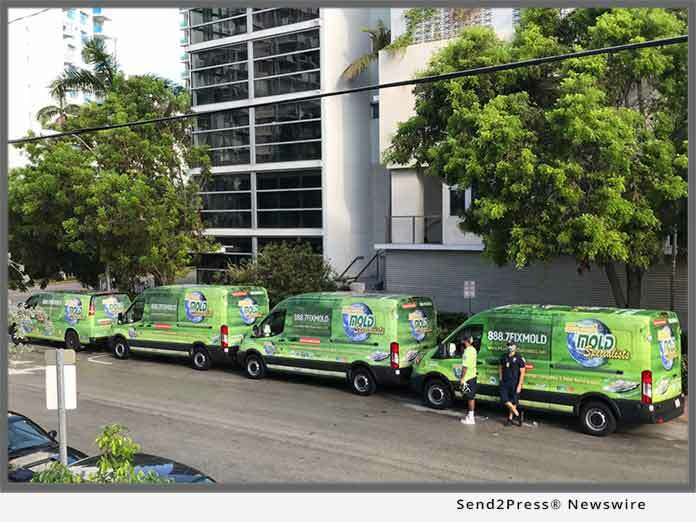 MIAMI, Fla., Nov. 15, 2017 (SEND2PRESS NEWSWIRE) — Miami mold removal company, Miami Mold Specialist, shines as go-to source for mold, indoor air quality, and other related indoor environmental services. Miami Mold Specialist has been making waves all across South Florida. Featured in over 15+ local newspapers, numerous other local and national print and digital news outlets. The company has hundreds of positive reviews on popular social media outlets, has been featured on TV via Channel 4 Miami, has received multiple community awards, is also an active member within five plus nationally accredited organizations, recognized by the state as a multi certified indoor air quality, eco- friendly, mold remediation company, and has completed thousands of successful mold remediation projects over the past 30 years in both NYC and the greater Miami area. Read more about Miami Mold Specialist’s Hurricane Irma Relief Program at: https://www.miamimoldspecialists.com/hurricane-irma. As indoor air quality and toxic mold awareness has been on the rise over the past five years, it is astounding that the vast majority of people still either have no idea about the detrimental health effects of toxic mold or are completely ignorant and complacent on taking this “silent” killer seriously. Specializing in high tech mold inspections, 3rd Party “conflict free” mold testing, and rapid mold removal services. Offering rapid response, eco-friendly mold remediation services, and a 1 year warranty!